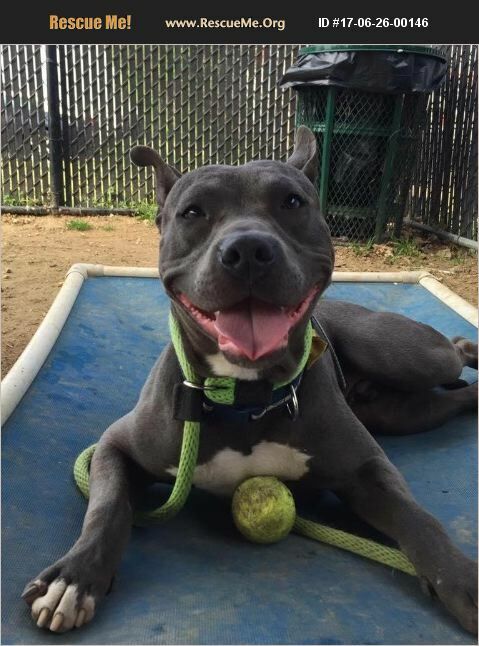 American Pit Bull Terrier Mix Young ��%BD'� Male ��%BD'� Large 2 years old ��%BD'� 55 lbs UTD on vaccinations ��%BD'� neutered ��%BD'� microchipped Located in Cherry Hill, NJ About Frankie G: According to his foster mom, Frankie is a special boy who deserves a second chance. He wants nothing more then to follow his family around the house and play in the backyard. He loves playing ball and splashing in the kiddie pool. ��%BD'��%BD��%BD Frankie is housebroken and walks nicely on a leash. Due to separation anxiety when he first arrived at his foster home he was not crated but given a spare bedroom to hang out in and he does well spending alone time in his room when the family is out. Frankie is a smart boy and knows the commands for sit, stay, and place. ��%BD'��%BD��%BD Frankie has had a hard start in life and as such he needs slow introductions to new people, animals, and new situations. He currently lives with a foster doggie sister and loves her very much. Frankie is very loyal and protective of his family and gets stressed when new people come into the home so he goes to his room to relax. The perfect forever family for Frankie is one that has the time and patience to work with his quirks and continue his training. Doggie siblings OK, children junior high school age or older.